Its healing abilities can be traced back thousands of years. Hippocrates – the “father of medicine” – called this plant his “medicine chest” because of its value in treating so many health conditions. Other historic Greek physicians such as Galen believed it to be one of nature’s greatest healers. Based on my personal experience, I have to agree. It’s remarkable stuff. Before the age of antibiotics, it was a major ingredient of preparations dispensed by herbalists and physicians. Today, and particularly at this time of year, people who are in the know about natural remedies take this treasured herbal extract to prevent cold and flu or to get over them faster. Elderberry or elder (Sambucus nigra) is a flowering plant that produces berries. The ripe berries contain a rich source of plant pigments and chemicals as well as vitamins, trace elements and minerals. 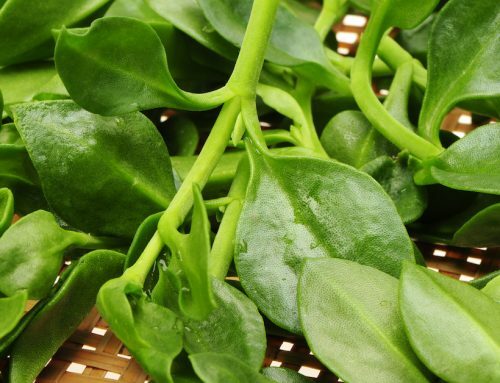 The plant has demonstrated outstanding health properties in laboratory research. These include antibacterial, antiviral, antioxidant, antidiabetic, anti-inflammatory, antidepressant and immune-modulating attributes. Some of its most abundant flavonoids are anthocyanins which offer protection against infectious diseases, heart disease, diabetes, cancer, neurodegeneration and more. Outside the lab, human studies have confirmed elderberry’s ability to act against cold and flu viruses. The first study was conducted during an outbreak of influenza in Israel in 1993. The scientists found that “a complete cure” occurred in only two days in almost nine out of ten flu victims who took elderberry extract. Those given a placebo needed six days to get well. Another study by the same research department was conducted over a decade later. The researchers enrolled 60 Norwegians aged between 18 and 54 who had suffered influenza-like symptoms for 48 hours or less. The participants received at random either 15 ml of liquid elderberry extract or a placebo syrup to be taken four times a day for five days. The findings replicated the results of the earlier study. 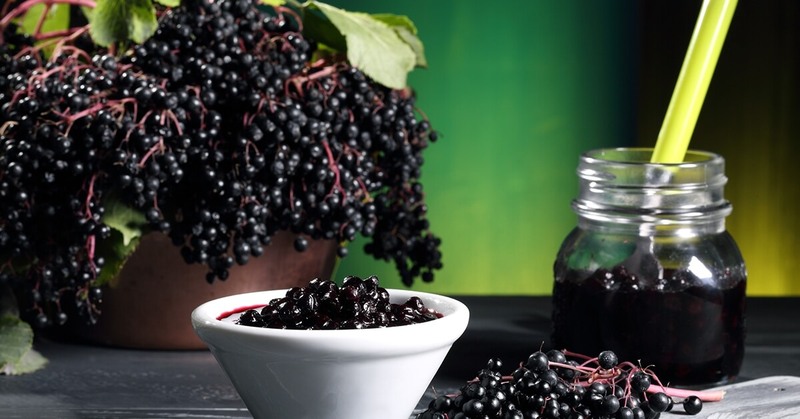 Those taking elderberry saw symptoms relieved four days earlier than the placebo group. In 2009, medical personnel from China enrolled 64 adults who had come down with three or more flu-like symptoms in the previous 24 hours. 32 took an elderberry extract in the form of a slow-dissolving lozenge while the other 32 took a placebo lozenge. After 48 hours, 28% of the elderberry group were free of all symptoms, while 60% showed much relief, with just one or two mild symptoms remaining. 12% also saw some relief but to a lesser extent. Every participant got some relief. In contrast, not one of the placebo group was free of symptoms after 48 hours. Only 16% showed any improvement at all, while the remainder felt the same or even worse. The most recent human study was carried out by researchers from Griffith University, Queensland, Australia in 2016. Like the others it was randomized, double blind and placebo controlled — the highest standard of clinical trial available. In view of the fact that respiratory symptoms are common complaints of air travelers, the researchers enrolled 312 intercontinental air passengers. Those in the elderberry group took two 300 mg capsules starting ten days before the flight, an additional capsule one day before and during the flight, and they continued taking the herbal remedy for four days after landing. Although 17 colds occurred in the placebo group compared to only 12 taking elderberry, this was not considered statistically significant. However, in the placebo group the colds lasted twice as long, on average, and symptoms were more than twice as severe. These findings were significant. I’m a long-time fan of elderberry extract. There are a lot of brands available. My current favorite is the capsules from Nature’s Way called Black Elderberry. I find the capsules more convenient than the more common liquid extracts, and they seem to work just as well, but this is not a scientific opinion. I do find that elderberry shortens the duration of my colds (fortunately I only get one a year, most years). And I also take the capsules for prevention, especially when I’m traveling. If I think I’ve been around someone who has a virus, I start taking elderberry as soon as I get home. If there’s a flu epidemic in my town, I get on elderberry right away. More recently I’ve started taking Green Valley’s powerful glutathione booster, Vital Force. I take that all the time. Glutathione, as you may know, is perhaps the most powerful antioxidant for humans. Authorities believe it’s one of the most important molecules to ensure a long life. Maybe this winter I won’t get even one cold!